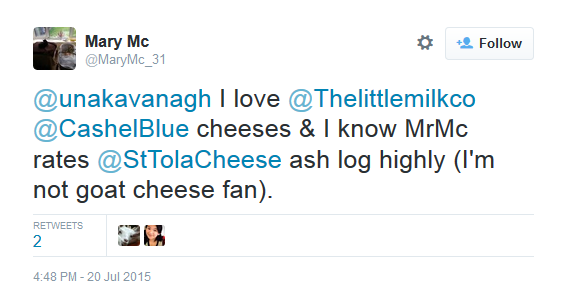 Question of the Week: Who produces the best Irish cheese? A few days later than usual, this week I’m looking for your “cheesiest” answers! 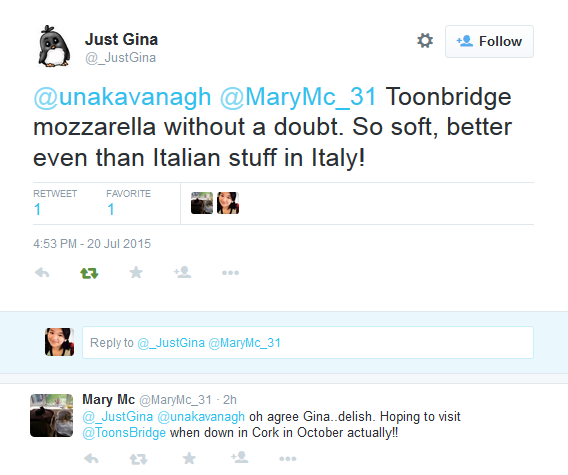 The home of fantastic dairy, Ireland has a wealth of cheese that’s being produced in the country. From Durrus, Toonsbridge, Kearney Blue and Clonmore, our cheeses capture the best of flavours – but which are your favourite? 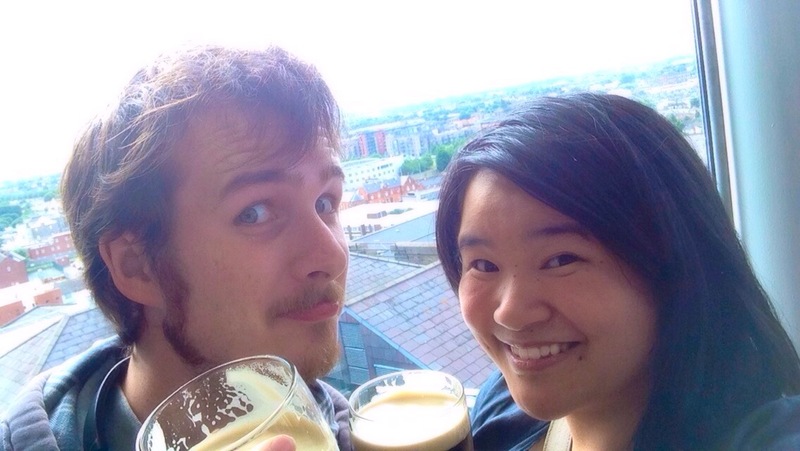 This week I, a Smithwick’s virgin, was invited to tag along on a tour by the company for a bit of craic in the marble city of Kilkenny. We arrived at the Rivercourt Hotel on the banks of the River Nore at about 3pm, and got a bite to eat before dropping things off to our rooms. With a jam-packed schedule at our fingertips, our first port of call was a stroll with an expert guide. 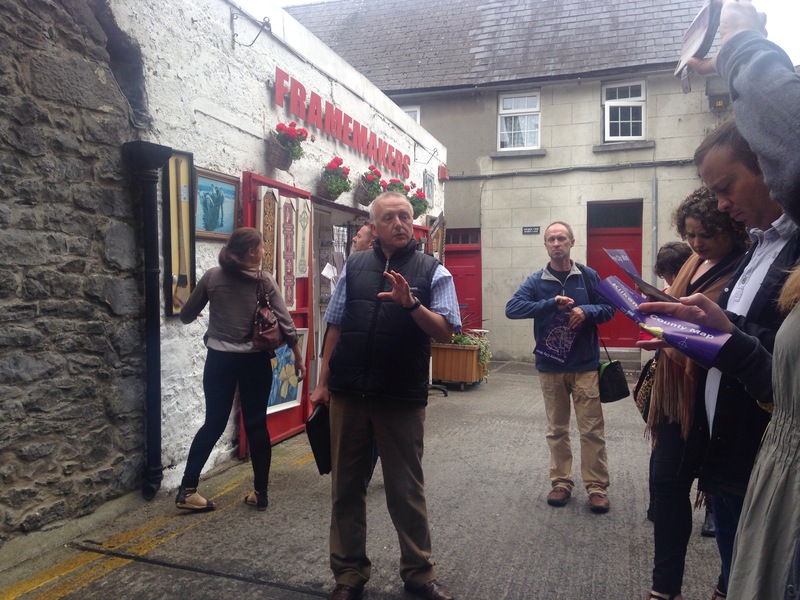 Pat Tynan of Tynan Tours has been on the go since 1983, and takes people on a one-hour history walk through Kilkenny’s winding laneways and compact streets. 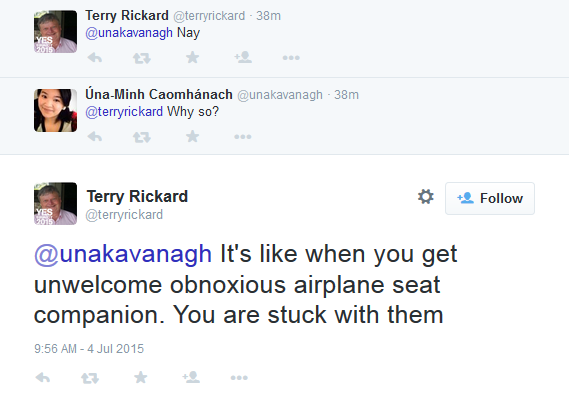 By the way, did you know that there was a Kilkenny Mayor who fathered 25 children? Prolific! For someone who does so many tours, it’s a wonder that he isn’t exhausted by the end of it, but ever-the-professional, he delivered us a tour with a smile and good laughs, touching on the more humorous aspects of Kilkenny and information that would make you “that’s mad!” rather than yawn. I don’t want to spoil it for you but one of the most interesting stories I heard from Pat was about a certain “witch” in the city who came under intense scrutiny back in the 1200s. The tour itself is great value for €8 for an adult and €6 for seniors/children or family deal of two adults and two children (12-16yrs) for €20. Smithwick’s Experience Kilkenny’s latest claim to fame is that it has been listed as “one of the top 26 hottest new attractions in the world to visit in 2015” by The Lonely Planet, and being the only Irish attraction to make the global list. Having never tasted the drink before in my life, but having a great appreciation for flavour, I was looking forward to trying something new. 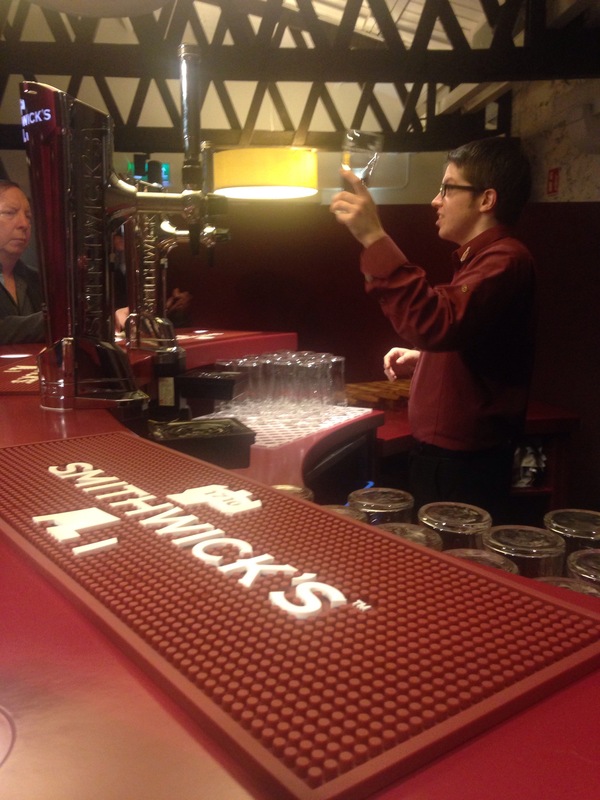 Guided by our capable tour guide Simon, we experienced four different aspects of Smithwick’s from its inception by the monks (clever lads), how five generations of the family developed it into something more than just a beer, to the key ingredients in the brew and the actual taste. 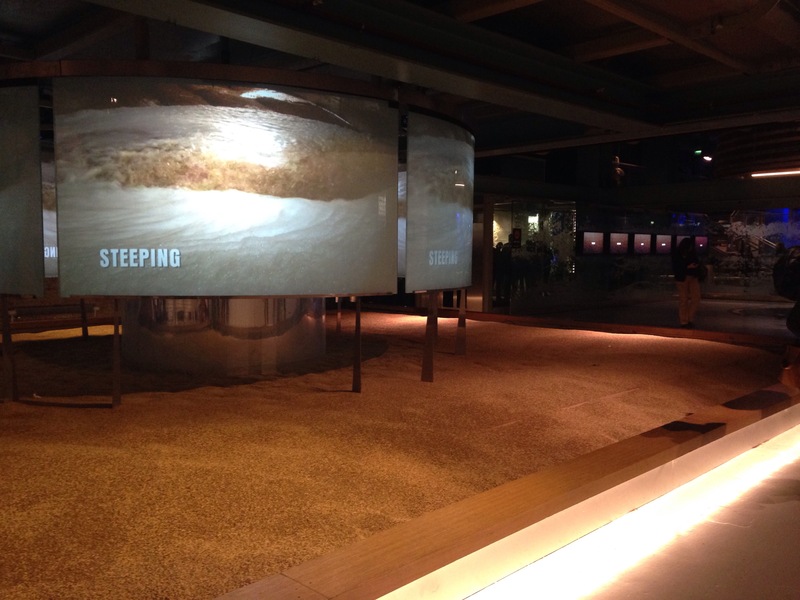 I have to say it was definitely one of the better tours I’ve been in over the years – the length was just right and its modern approach to storytelling was highly enjoyable. After sitting down with a glass of the traditional brew, as well as their Blonde and Pale Ale, we were very lucky to meet Paul Smithwick himself, the ninth generation of the family and a true character indeed. A showman at heart, he gave us a brief run-through of his memories of working in the brewery as a young man, as well as showcasing the many historic photographs, articles and ledgers that pieces together the finished product. Adult tickets are €12, over 18 students and senior citizens €9.50 and students under 18s paying €7. Children between 7 – 14yo get in for €4 with children under 6 getting to go in free. It’s recommended that you book online for a 10% discount. This includes a free pint (in the end I decided that I more of a fan of the Pale Ale!). 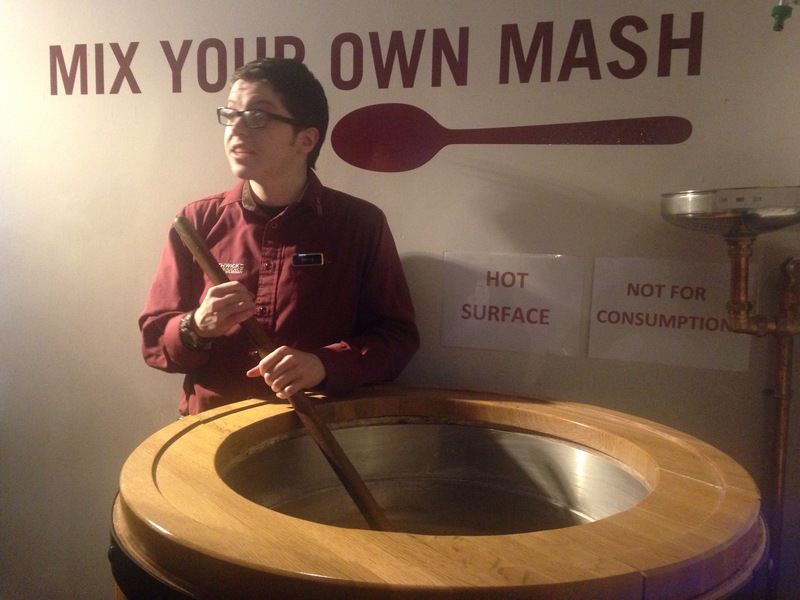 Surprisingly, though I never thought I’d say this about a tour with alcohol at its core, this is actually something that would work with the children, simply because it’s so interactive and fresh, that it’s not boring. 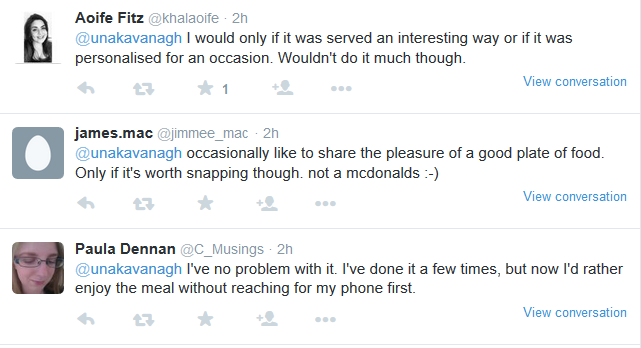 Oh and don’t worry, the kids don’t get a free pint at the end – they get a soft drink! 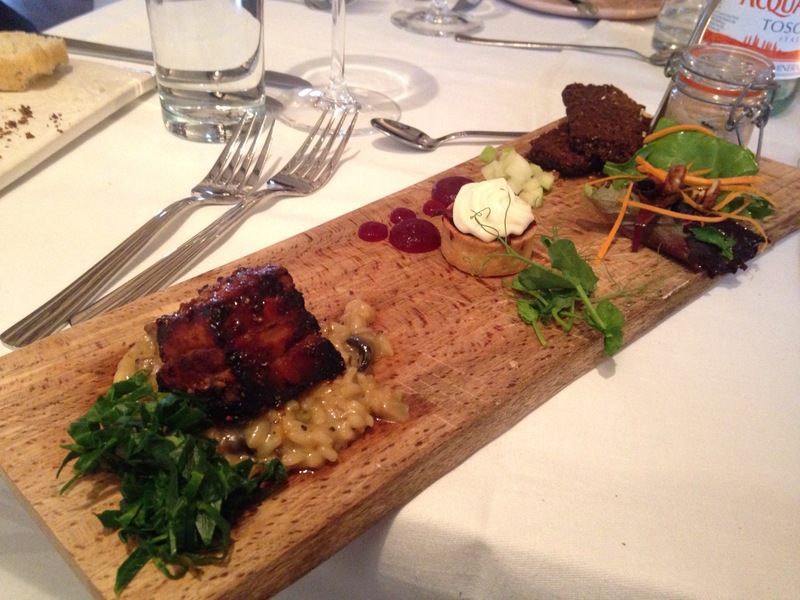 With our tummies full of booze, we sauntered over to Anocht Restaurant, situated in the Kilkenny Design Centre. The building itself was built in the 1760s as grain stores for the Earl of Ormonde’s horses but now houses all things design as well as a restaurant in its loft. With a three-course meal that had a, you guessed it, Smithwick’s theme, my eyes immediately jumped to the 12 hour slow-cooked shoulder of lamb with champ mash, smoky bacon peas and jus. Impressed that the menu featured so many local ingredients like Knockdrinna Goats Cheese, Kilmore Quay Potted Prawn and Crabmeat and Millevan Glazed Pork Belly, I was delighted to get tucked in. Though not overly fond of the herb, garlic and Irish cheddar yeast bread, I was blown away by their beer-infused treacle soda bread – especially when it was toasted. Combined with all the flavours of the tasting platter starter, it was a wonderful little introduction to what the rest of the meal was going to be like. Now I really love my lamb (I usually only have it once a year for Christmas), but I have to say that the lamb was cooked perfectly and when I poured the jus over it, it just made for a song in my mouth. 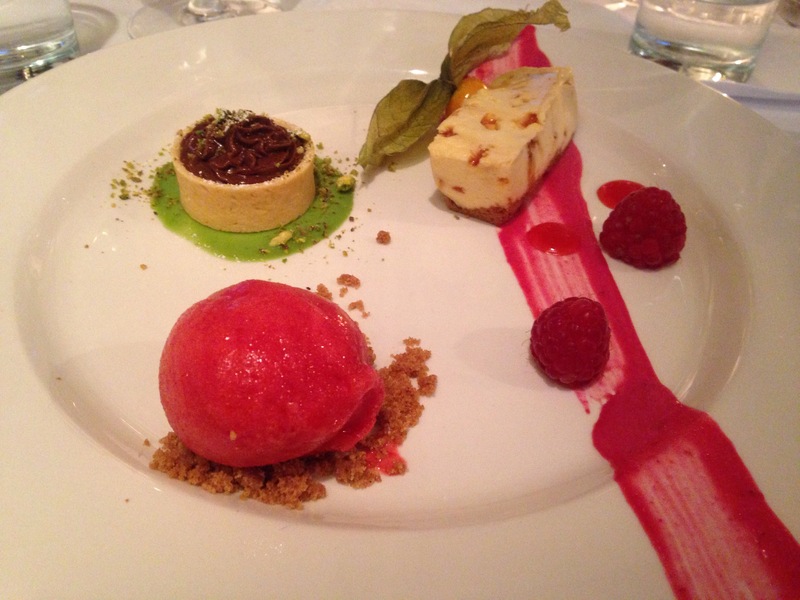 A trio of desserts to finish which included a brew infused chocolate mousse, honeycomb cheesecake and raspberry sorbet, you can imagine that we were suitably stuffed. My only small qualm was that we had to keep asking for water rather than getting a top-up but I’d definitely head back there. Anocht is open Thursday, Friday, Saturday, Bank Holidays and Sunday from 6pm until late. 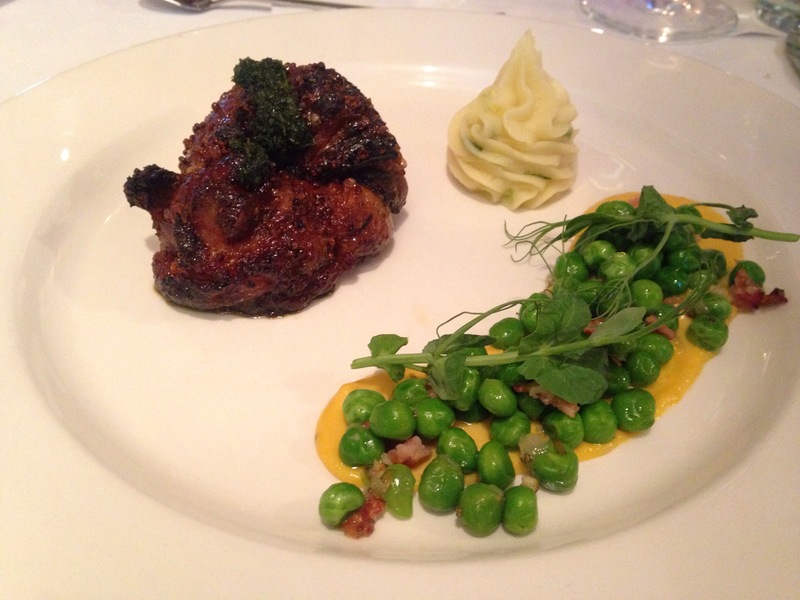 Early bird prices are two courses for €24.50 or three courses for €28.50. 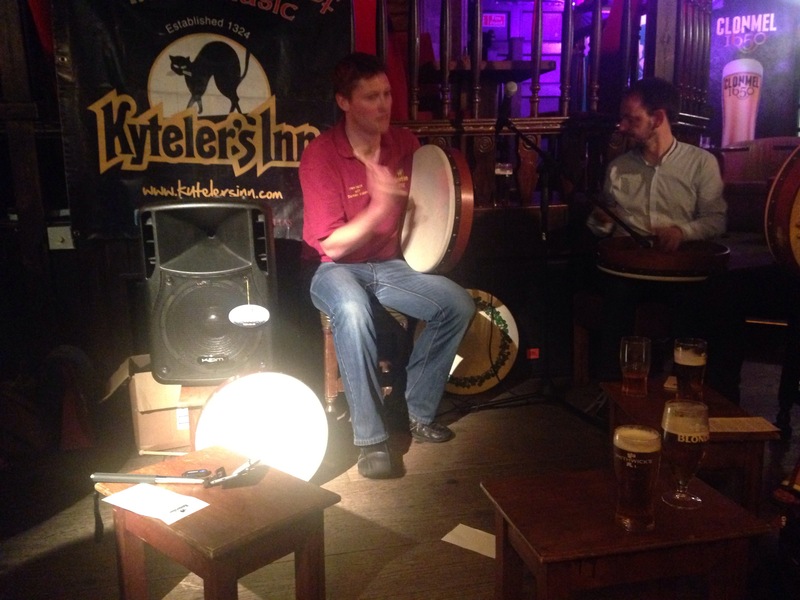 To top off the night we headed back to Kyteler’s Inn for bodhrán lessons with Damien Walsh. 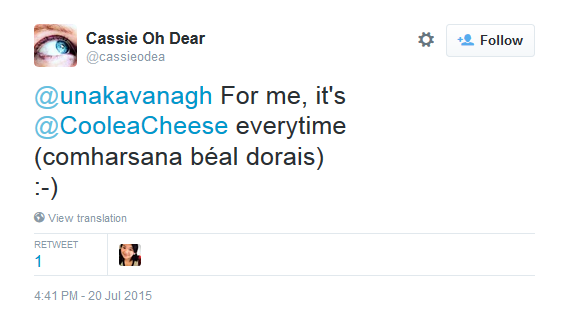 A wee fact for you: the skin that’s stretched across the bodhrán is made from a goat. Damien hosts free Irish bodhrán classes every Monday and Tuesday at 6.30pm in the Inn and has been playing the instrument for about 16 years. Under his expert humorous tutelage, we followed his lead as he went through the steps and tapped our feet to the music. 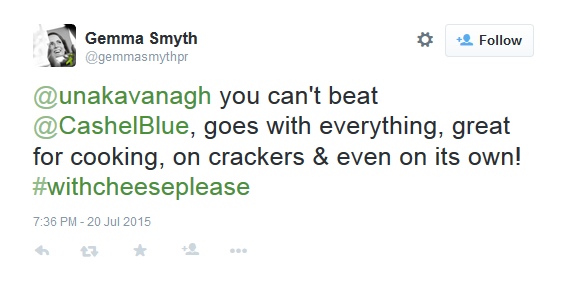 If you had as entertaining and as funny a music teacher as Damien, we’d all be master bodhrán players. Up early to nab a quick breakfast, it was then time to head to the Cathedral Church of St. Canice’s and Round Tower. 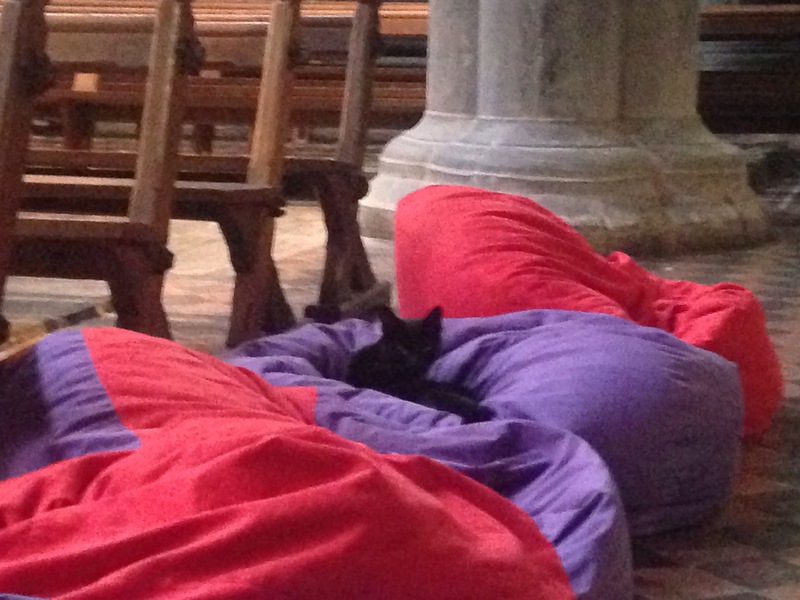 A black feline went streaking into the cathedral when we arrived and I mused to myself how fitting it was to be near a Kilkenny cat! 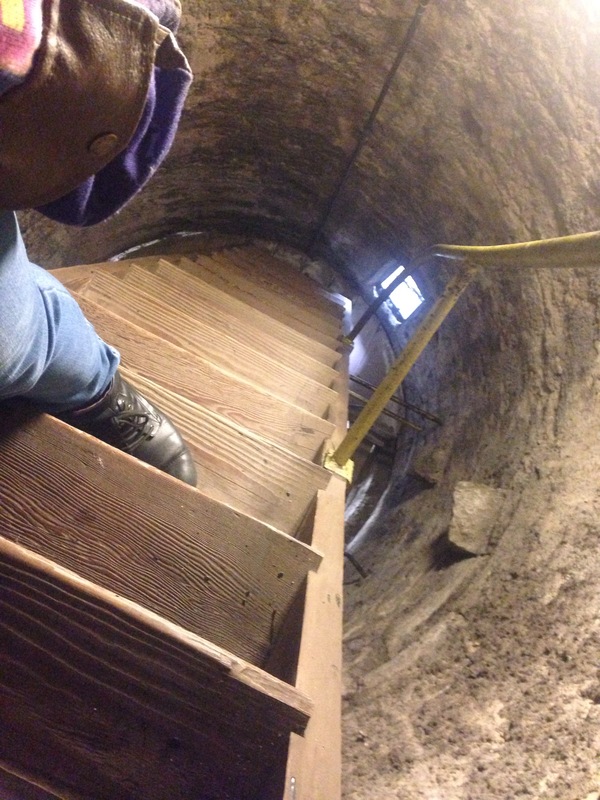 The Round Tower stood at 100ft tall, with seven narrow staircases and a looming appearance. Though I’m not one for heights, I thought “sure, look I’ll give a lash and at the very least I’ll only embarrass myself in front of a few people”. I’m happy to report that I didn’t throw up on anyone! Even though it was a gloomy day across the city, you could get a real sense of the landscape and its surrounding green. Built sometime between AD 700 and 1000 on the site of an earlier Christian cemetery, the Round Tower is something that you should try to climb, but be warned: it’s a tight squeeze! The cathedral itself is a sight to behold if you’re into your history or architecture (I was immediately drawn to the black cat lounging in a beanbag). It’s the second-largest medieval cathedral after St Patrick’s in Dublin and is decorated with highly polished ancient grave slabs on the walls and the floor. A feeling of the “old world” captures you when you head in, and it’s no wonder that they still hold ceremonies in such a beautiful and historical place. Both the tower and cathedral are open Monday to Saturday 9am to 6pm and Sundays 1-6pm with shorter hours from September – May. Prices for the cathedral is €4, round tower €3 and if you combine the both, it’s a very reasonable €6. With our trip almost coming to a close, we met up with Eveleen Coyle of Fab Food Trails who provides walking food tours of various cities. 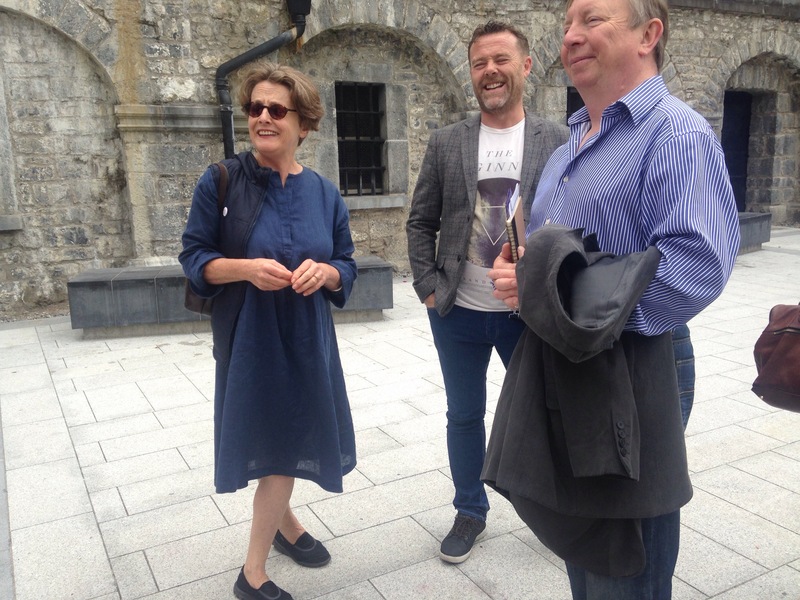 Keeping groups small with a maximum of 14, the Kilkenny branch of the tour heads along to some of the city’s culinary treasures. Getting a glimpse at just some of the local produce and businesses in the city, I got a feeling that Kilkenny is quietly proud of what it has achieved over the years without having to shout it from the rooftops. 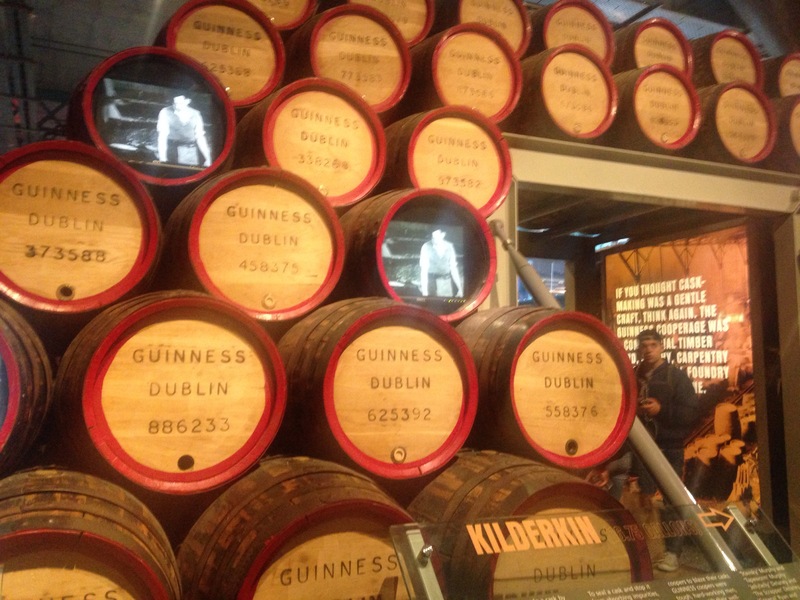 The Kilkenny Tasting Trail starts at 10.30am, and finishes around 1.00pm and costs €50. Waving goodbye to Eveleen and the Rivercourt, it was time to jetback to the Big Smoke. Grabbing my things, I hopped onto the bus and shut my eyes for a well-needed nap. Good company, good drink, good food. 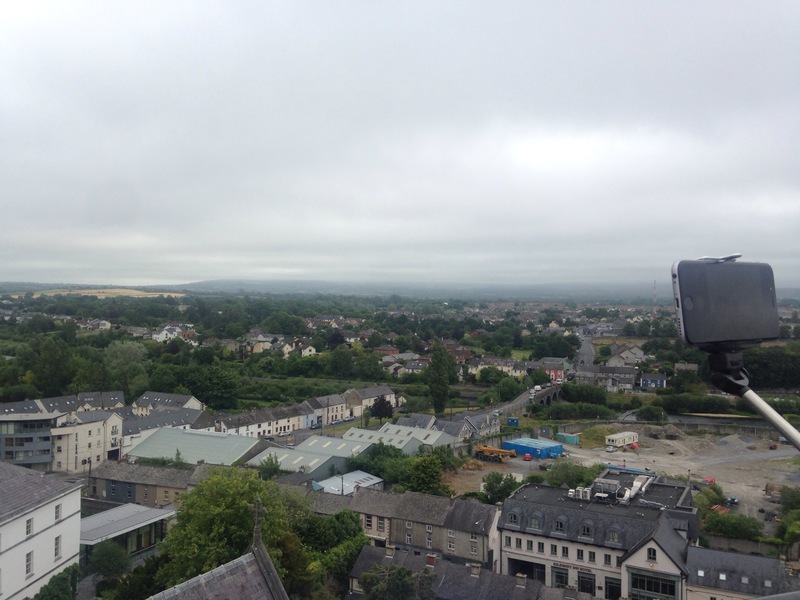 Make a trip to Kilkenny if you can – it’s worth it. If you’re booking a room in the Rivercourt, while the view of the River Nore is lovely, sound travels to the rooms from the local pubs (along with the ringing of church bells at bizarre hours!). This was problematic for me because I had to leave the window open because the room was a bit too stuffy and I couldn’t seem to find a switch for air-con and I was wrecked from the day’s events. Next time, I’d probably book a room more to the back of the hotel not facing the water. Also, it was a bit annoying that there were no plugs right next to the bed for my phone but I’ve noticed that seems to be commonplace in hotels. 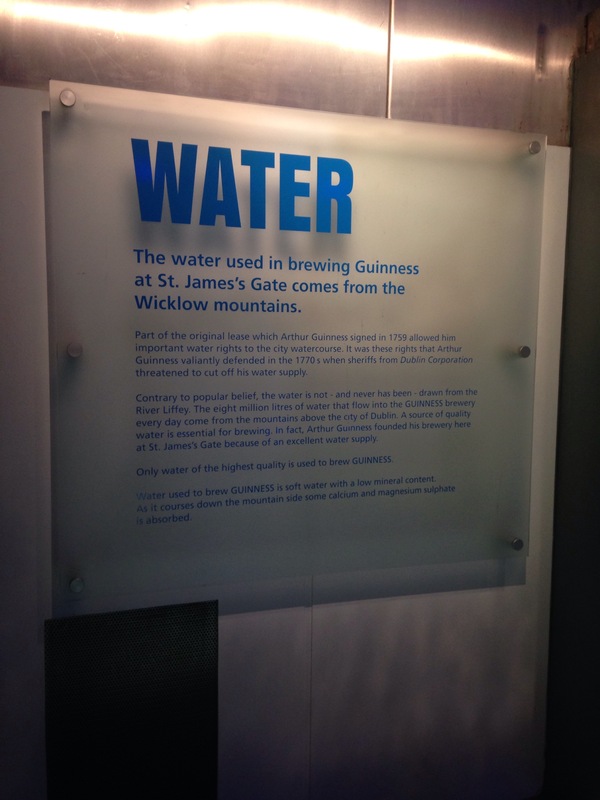 I’d highly recommend having a bottle of water with you when you’re heading up St Canice’s Round Tower – though not exactly Everest, you become quite out of breath and if you’re someone like me who doesn’t do well with heights, you might get dizzy. 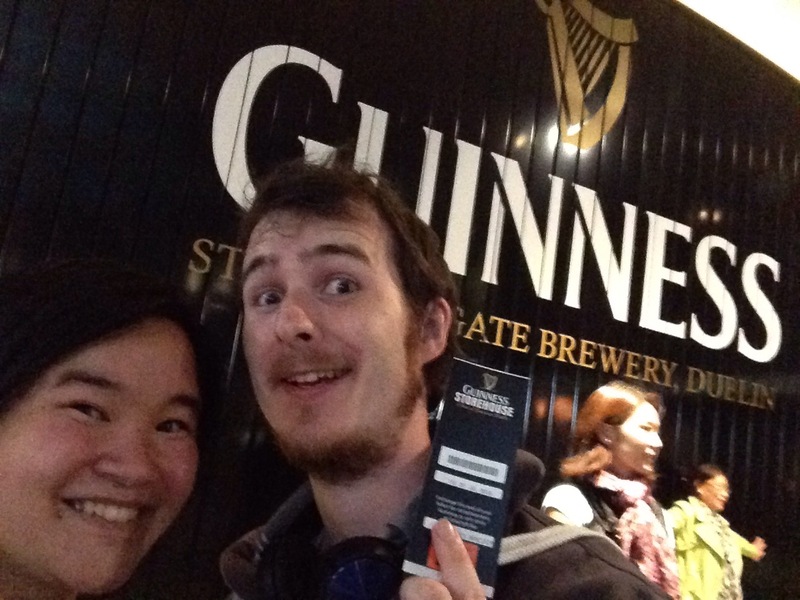 Many thanks to Gillian Herlihy of Ogilvy/Wilson Hartnell, Mark McGovern of Smithwick’s for helping organise such a fun experience. Heading to Electric Picnic this year? Don’t forget about the wonder that is the Theatre of Food! Food for Life! with David and Stephen Flynn of the Happy Pear and Domini and Peaches Kemp. Classic Cocktails with Shannen Butler-Keane Wine, beer and Chocolate tasting with Leslie Williams and John Wilson Bear and Beards with Colin Hession Mixology and Whiskey with Oisin Davis. The Theatre kitchen will run by award-winning chef Caitlin Ruth and Bridget Healy. 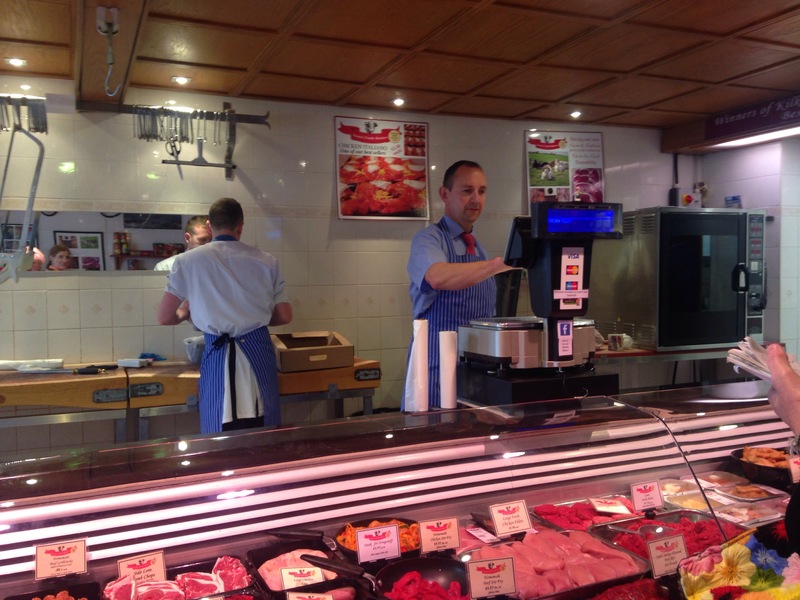 Taste a Roast in a Roll from The Good Food Store, Goatsbridge Trout, and food from the Ardkeen Food Heroes. Forgotten skills re-awakened in the tent: Raw Milk Cheesemaking, Fermentation, Country Butter, Gourmet Gluten-free and a Taco Workshop. Also a record-breaking attempt at a length of nettle pasta (family event). Celebrating Design in Food, this will highlight three elements of Food Design and transformation: beer ice cream with Judith and Susan Boyle, Foams with JP McMahon and food styling with Johan van de Merwe. Food Waste, the issues and solutions of this global problem. A Food Quiz – the celebs verses the starred chefs. BiaBeag, the Butcher, the Baker and the Brewer and a music session that gets everyone in the tent dancing, Let Music Be Your Food. 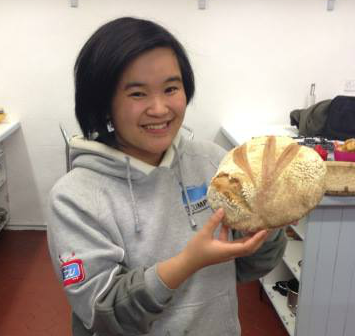 Theatre of Food returns with the Megaphone – manifestos on food leftovers, food waste, labelling, real bread, GMO, raw food and revising the outdated food pyramid. This year sees a new award added to the traditional Judges Award and Picnicker’s Award, when a Design Award will also be given to the best-dressed food stall. As part of the Dublin Gin & Tonic Fest, Slow Food Dublin will be hosting a special night dedicated to tasting gin and eating cheese. Hosted on June 24th, the tasting will include three Irish gins with cheese pairings selected specially by Sheridans Cheesemongers. 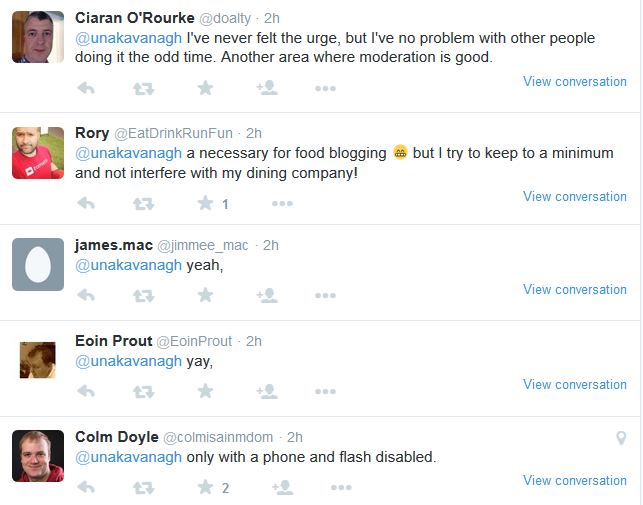 Members of Slow Food can get their tickets for €10, with non-members paying €12. Buy your tickets for the event here via Eventbrite. The wind blew the smells in my direction as I feverishly sautéed the pot of chopped almonds and eyed the seaweed like a hawk. This was an Easter Sunday like no other. 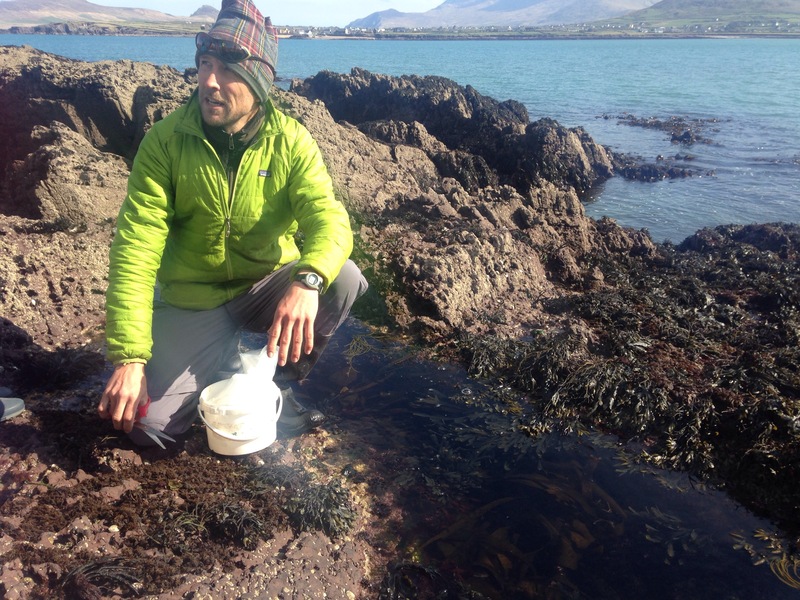 Based in Kerry, for the past few years Darach Ó Murchú has been running foraging days out, celebrating the vast variety of wild food we have to offer in the country. An experienced mountaineer and outdoor guide, I was delighted to hear that he planned to run a seaweed-specific course during the Easter weekend. For many, seaweed instantly harks back to childhood when wary toes made sure that they were nowhere near its gooey strands. Up early to make it out to our meeting point in Baile an Fheirtéaraigh (or Back West, as we Kerry folk affectionately call it), despite the fact that the sun was beating down I was glad to be wearing warm gear. A keen forager myself, I was impressed with the length of time he planned to give us for the day, which was six hours including foraging, an insight into what to do with seaweed and a short cooking session. A group of 10 women, we headed down to Wine Strand armed with our rucksacks, scissors, notepads and bags. He started out by asking what we wanted from the course and with our queries under his belt, he launched into educating us about the basics of foraging and reading tide tables. Darach, a former Silicon Valley engineer, moved back to Kerry to Ceann Bhaile Dháith outside Dingle, where his mother had grown up many years ago. 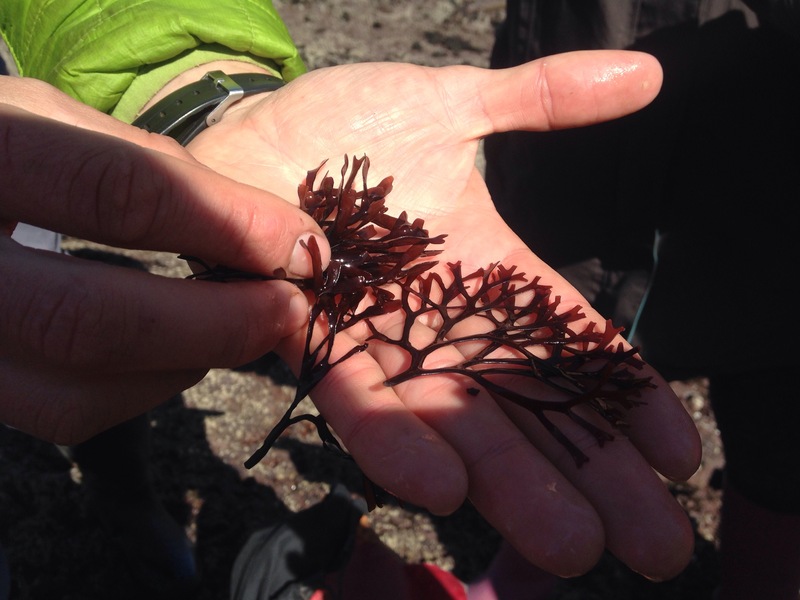 As we combed the rocks like hunter-gatherers, we came across some wonderful seaweeds and his passion for wild food continued to shine through. There are about 10,000 varieties of seaweed in the world and over 600 of them lie on Irish shores, so naturally there was no way that we would be able to identify them all! Among the ones we met along the way however were pepper dulse (deliciously addictive), dilisk, sea spaghetti, sea lettuce and a personal favourite of mine, nori which is also known as sléabhac. The real Carrageen Moss also made an appearance which I tend to have a love/hate relationship with (I had to have it as a drink to knock back a cold recently and had a sour puss on me all day). Stressing the importance of sustainable harvesting, we were taught the value that this exceptional algae had, fresh, dried or even frozen. Taking a break from harvesting, we spent 10 minutes in silence admiring the scenery and listening to the gentle swell and slosh of the waves moving against the rocks. They don’t call this county “The Kingdom” for nothing. 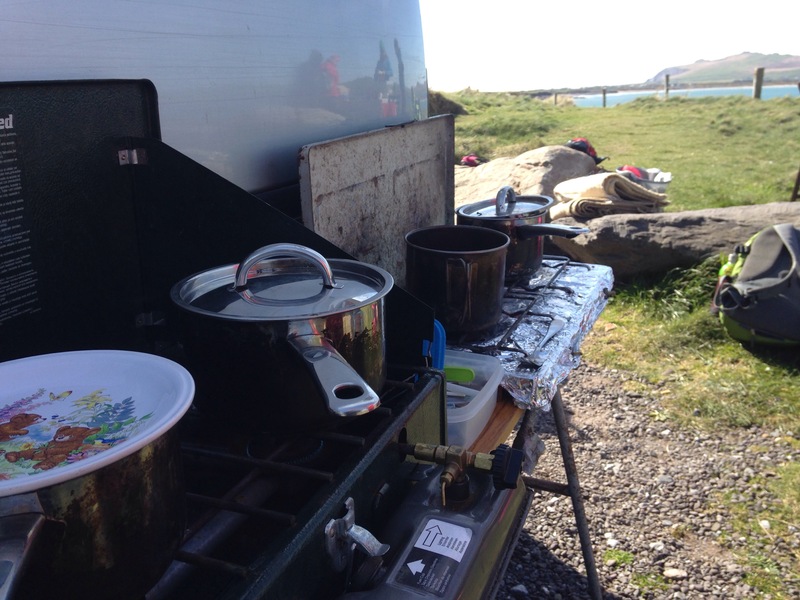 Eventually it was time to head back to land where we set up camp to cook our freshly foraged goods. Invited to work in pairs and with recipes at our disposal, we got to work on five dishes with seaweed as the star. Under Darach’s watchful eye we produced – in my humble opinion – creative food that any chef could be proud of, including a main dish of sea spaghetti with wild pesto, seaweed oat burgers, a Thai soup, channelled wrack salad with carrot and orange and a highly unusual seaweed chocolate fondant cake! It was a feast. Sitting down on the rocks to enjoy our meal, much to the amusement of onlookers, we had the bright blue sky and water surround us with Mount Brandon in the distance and the Three Sisters keeping watch. This was something very special. For those who have an interest in foraging and the outdoors but don’t know where to start, this is the perfect introductory course and it’s exceptional value. Darach was willing to share everything with enthusiasm and passion that was palpable. 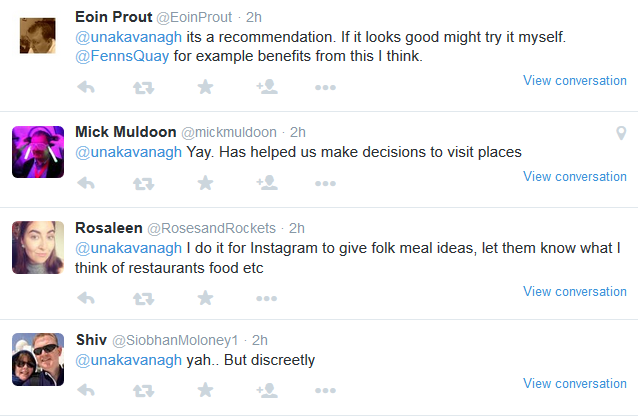 You really get the feeling that he loves the subject he talks about and the foraged food that he eats. 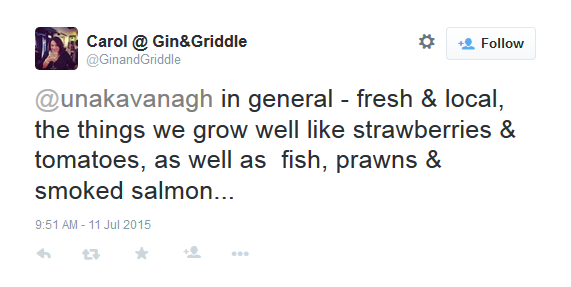 I highly recommend heading on one of his foraging adventures because you won’t be disappointed. Do bring either a pair of decent wellies or climbing boots – even if you’re a good walker, the rocks can be pretty slippy. Don’t be afraid to get wet and touch everything. You’ll miss out if you’re not willing to feel things and take note of the texture. If you’re not using your phone for photos or note-taking, switch it off or at least on silent. Do wear warm clothes regardless of weather. You could easily get a chill if you’re not careful. 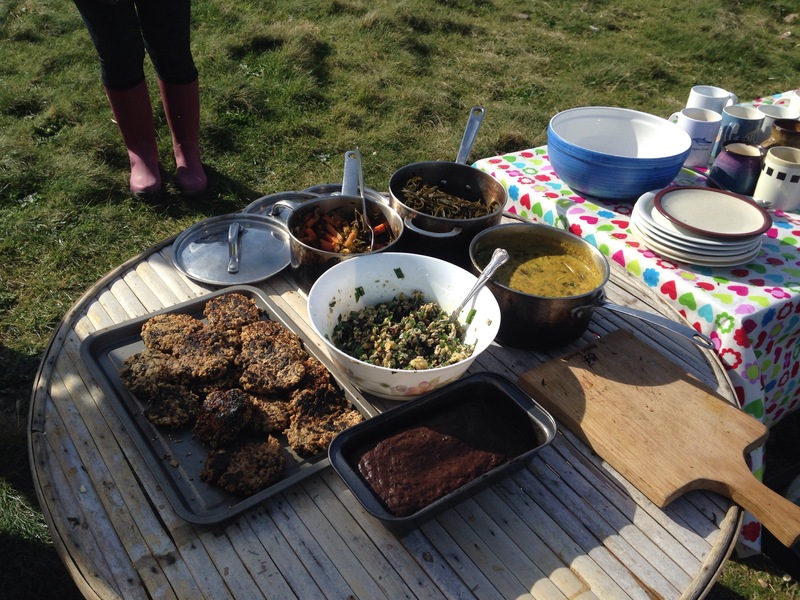 Price: €50pp for six hours’ worth of knowledge and foraging including a cooking session with all of the ingredients.